John Crane has introduced an innovative gas seal technology to reduce methane emissions by up to 95 percent. It is designed to be retrofitted into centrifugal compressors with oil seals to also significantly lower operating costs and improve reliability. 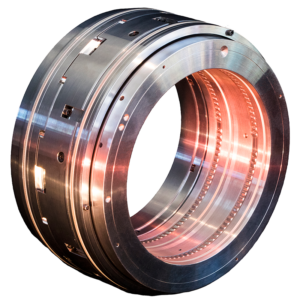 Pioneered by John Crane, gas seal technology became widely available in the 1980s and is now recognized as the current industry standard for all new equipment, providing a cost effective, reliable, low emission shaft seal solution for centrifugal compressors and other rotating equipment. John Crane is a global leader in rotating equipment solutions, supplying engineered technologies and services to process industries. The company designs and manufactures a variety of products including mechanical seals and systems, couplings, filtration systems and predictive digital monitoring technologies. John Crane customer service is accessed through a global network of more than 200 sales and service facilities in over 50 countries. Fiscal year 2017 revenue was greater than 1.1 Billion USD (£885m). John Crane is part of Smiths Group (smiths.com), a global leader in applying advanced technologies for markets in threat and contraband detection, energy, medical devices, communications, and engineered components.